When you fear there is mold in your home, you want it taken care of fast! Mold remediation services from Green Home Solutions provide fast, effective, and affordable solutions. Our mold remediation services are designed to discover the source of the mold and eliminate it. Mold commonly hides inside walls and relies on moisture to grow and colonize. Sometimes you can see it on walls or ceilings, but often it grows undetected. Studies show potential links between mold and symptoms such as chronic coughs, watery eyes, rashes, headaches, and respiratory conditions. 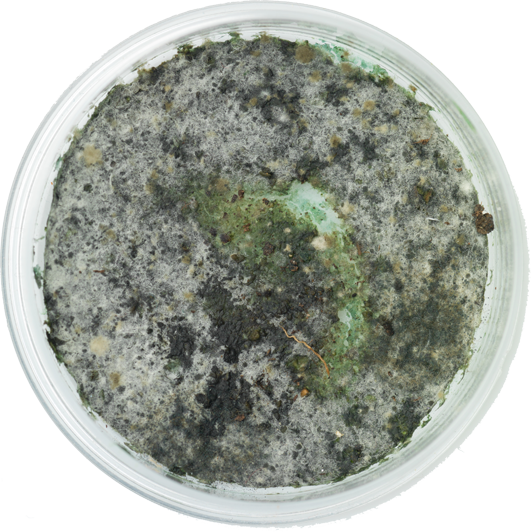 The existence of mold can reduce property values and disrupt estate transactions. If you suspect there is mold in your home, we can help. Call 1-800-SOLUTIONS today to learn more about our mold remediation services. We use professional, high-grade HEPA filtration units to scrub the air and treat airborne impurities. It’s how we make air better! We follow the basic standards set by the ANSI/IICRC S520 – Mold Remediation guidelines and the EPA, along with our proprietary EPA registered disinfectant/fungicide. Mold testing and inspection prior to remediation allows us to provide homeowners with a clear picture of the problem at hand. Through testing and inspection, we identify the source of the problem while also providing a baseline for post-remediation follow up testing.